103 911 370? | SNinternational. Well the title may well be a surprise or a puzzle or totally unusual. Despite those figures each refer to an event and each far too many fatal casualties and every single one put down to the act of malfiesance by a terrorist group or individual or individuals known or unknown. 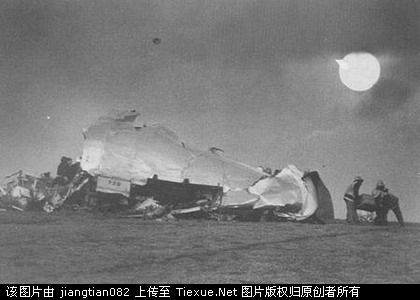 The first refers to Pan Am 103 which was a Jumbo jet three quarters full and heading home for the holidays. It left from Heathrow on dec 21/ 1988. and some time later came to grief near the Scottish town of Lockerbie which would from then become the tagline for the disaster. Despite the passing of the years this is still a live issue and should be part of an independent inquiry as the wrong person was put in the dock and wrongly jailed for years, prior to be released on compassionate grounds. Political intrigue was part of that first figure then we have what is termed 9/11 which took place in September 2001 on the ninth. As well as being the emergency number in the USA the tagline was easy to say and was practicly hardwired into every American citizen from whenever they understand basic information. The decade has come and gone since that event it is deemed some kind of world shattering watershed yet like all acts of terror it caused death and destruction. Far too many good people became the innocent casualties but now thousands of people are like the Lockerbie Disaster are looking for the TRUTH. This brings us to the most puzzling and unsolved number MH370 or the flight from Malaysian airlines from Kuala Lumpur to Beijing. Only again this flight failed to reach its destination and like the 9/11 flight it seemed to change direction and although they are looking for the debris in the Indian Ocean there may well be other locations worth a look such as Diego Garcia, Indian ocean and a special secret base on an island which the UK is in charge and the locals were removed to Mauritius. However, this latest event is worrying and puzzling as there seems little motive, rhyme or reason even if that is unreasonable reasons! I would like to know the photographer of this photo so please contact me urgently. We seem to look on from the sidelines if we know at least who the enemy is or at least what logic he or she has. In the coming month we will produce three major length articles on those numbers and hopefully we will help you add up why cover ups are wrong ALWAYS! WHY THE TRUTH COUNTS AND WHY you need to be motivated to do something too as all it takes is good men do nothing, for EVIL to abound! 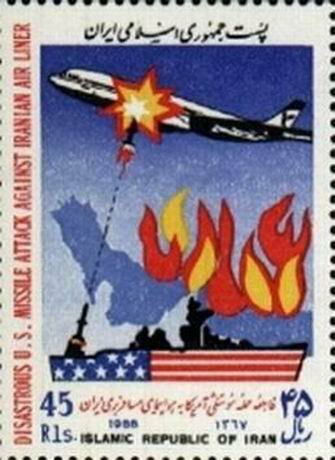 This stamp brought out to mark the U.S.A. shooting of an airliner in 1988 in July. Remember what Dietrich Bonnhoffer said that if you do nothing by the time they come for you it is too late! Start asking questions. WHEN ACTIVITIES ARE UNDER THE RADAR.